If the mower was running just fine last Fall, and will not start in the Spring, the first thing to suspect is that the gas has gone bad. If it just keeps running worse and worse until it stops (or doesn't start), it could easily be the air filter. This is what a "Fouled Plug" looks like. 'Tecumseh carbs are famous for gumming up and the mower may start but it will not keep running. Here's a "quick" cleanup. Here's "starts, but doesn't run" problem from a very NEW Tecumseh with the mostly plastic carb. 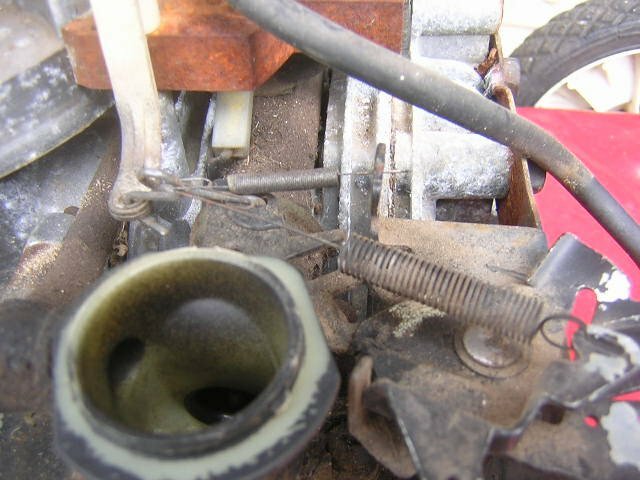 The seal between the main jet and the carb bowl swells up and cuts off the gas. I replaced it with a small O-ring. You hit something and the motor will not restart. Most likely, it's a broken flywheel key. B&S carbs with the carb on the gastank are VERY reliable, usually all they need is a new gasket between the carb and the tank. While it's apart check the screens on the pickup - I've seen more than a few that have been plugged up. 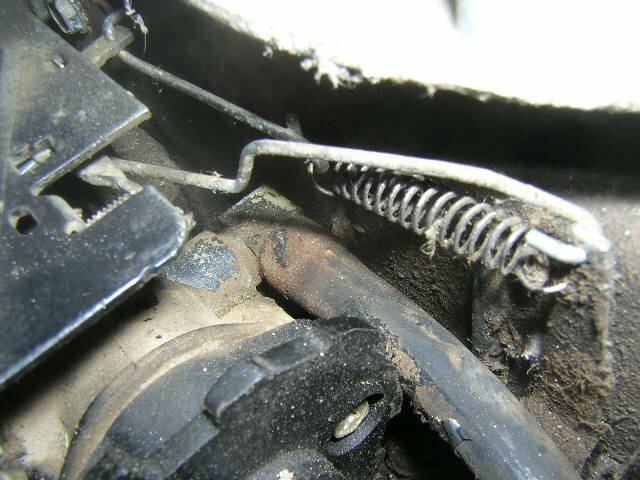 No spark on an OLD (many before 1982) engine? It's probably the points, but it may be easiest to replace the coil with a newer pointless model. Bring home a previously working riding mower and it doesn't even try to start? WATER in the gas will stop a mower dead. It goes to the bottom of the tank, and the bottom of the carb - where the engine pickes up gas. Drain the carb and dry the tank if you find water in the carb. This is water and gas in a jug, but if you see drops in the bottom of the carb bowl or tank, or see it bead up on top of the driveway or a rag, you have water. 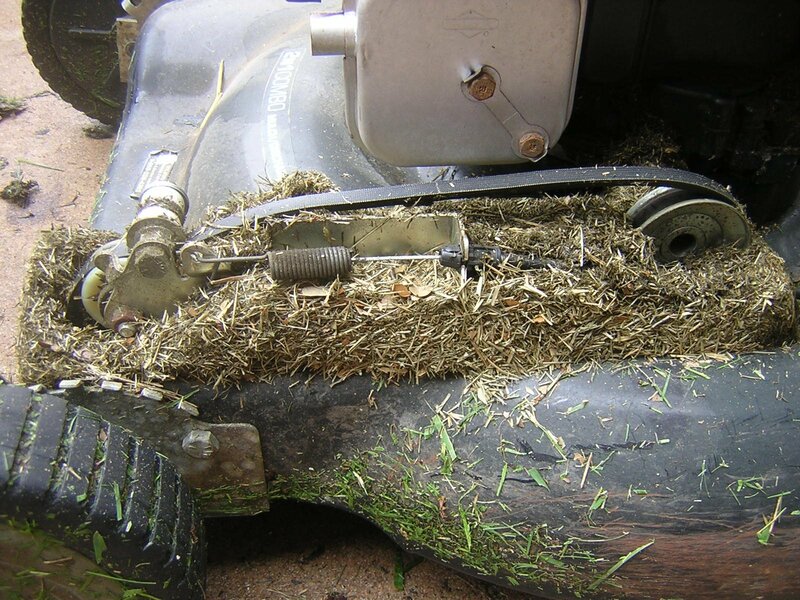 Don't park the mower outside! ALCOHOL in the gas is causing problems for older mowers. They've even had to change the materials of the float needle valve seat. I've seen old seats that have swollen shut. A mower I just worked on didn't have that, but it HAD separated the liner from the fuel line and the liner turned into a one way flap valve! Flipped my mower over upside down, and now it doesn't start! If you poured gasoline into the oil filler and caught it before you ran the engine, just drain it out and pat yourself on the back for catching the mistake. A little fuel left in the crankcase will quickly evaporate off. If you filled it up to the top and ran it, it probably made a terrable mess before you could do a whole lot of damage, so same thing; drain and refill it. 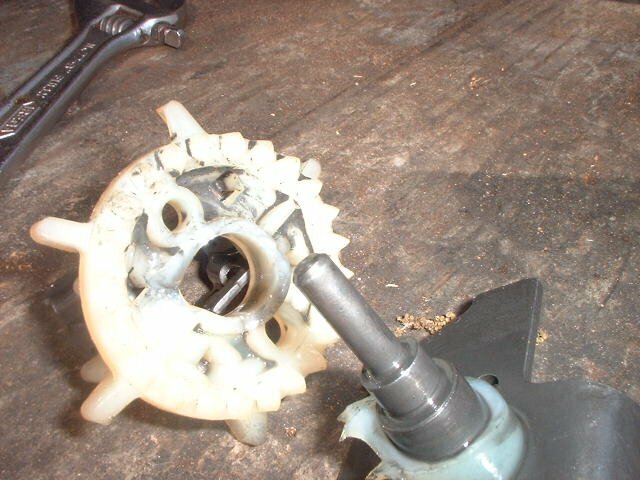 If you didn't catch it in time, it would have made grinding sounds and maybe even frozen up or thrown the rod through the crankcase side. How to replace the pull rope. Rope problems with the newer B&S ratchet system: starter clutch trouble. More starter ratchet problems: Rope doesn't retract or it trys to spit out the rope, this is the OLDER B&S starter ratchet. 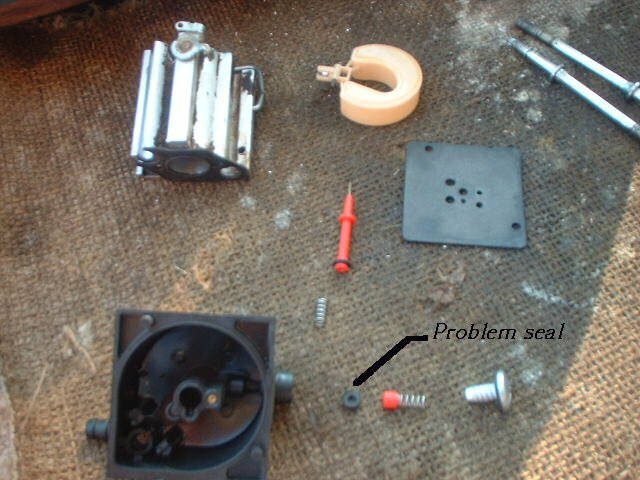 How to replace the pull rope on a weed wacker string cutter. The mower trys to yank the starter rope out of your hands! You hit something and the motor will not restart. Almost for certain it's a broken flywheel key. 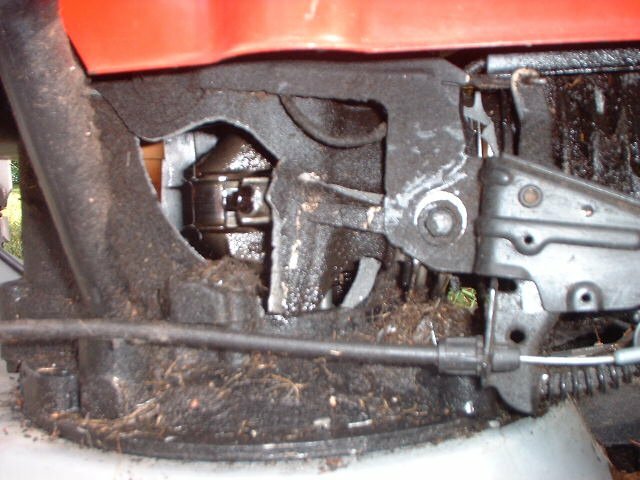 Here's the normal problem on a shaft drive Lawn-Boy. And here's an example of what happens when the belt drive clogs up with grass. It happens with the Craftsman type horizontal belts, too. Blowing white smoke out the exhaust may not be terminal. Tecumseh carb floods or leaks gas. It's only a matter of time until they do!. If you let water sit in the carb, this happens. You can clean it up, but it's a lot of hard, messy work! It stopped for NO REASON, can be that grass has managed to gum up the drive. How does my Techumseh (most Craftsman) throttle linkage hook up? Most newer ones look more like this. Briggs and Stratton Gas tank has cracked and leaks. It's almost impossible to repair, but if your mower isn't too old - ask your dealer or B&S about the safety recall. I promise that all the Gorilla Snot in the whole world will not fix it! You can split a late model OMC Lawn-Boy case with the engine on the deck. You hit something and the motor will not restart. Maybe it's a broken flywheel key. 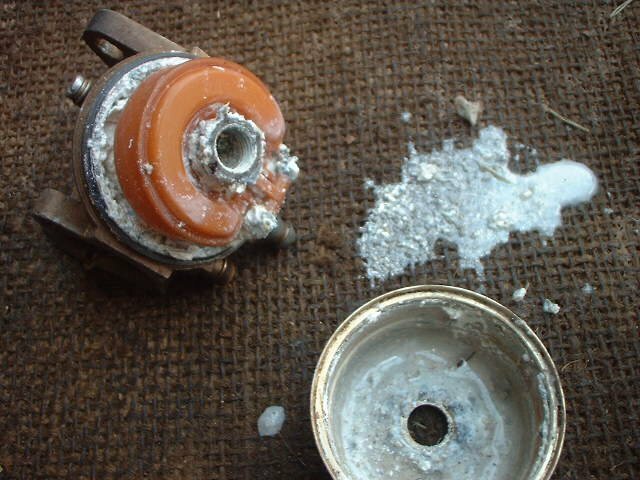 If it's not the flywheel key, it could be one of several PLASTIC gears inside the motor. This example is the govenor gear after a quick stop. Did your 5-6hp Techumseh BLOW UP for no good reason? It wasn't YOUR fault, they ALL do that! I'd worked a lot on motorcycles and cars, so mowers were just the same to me, but easier. The reference book that I found most useful when I was starting was "Walk-behind Lawn Mower" by Intertec. A neighbor gave me "How to repair Briggs and Stratton engines" by Demsey which looks pretty good too - but I haven't had time to read it. The local Community College has small engine classes that are pretty good (maybe yours is too). 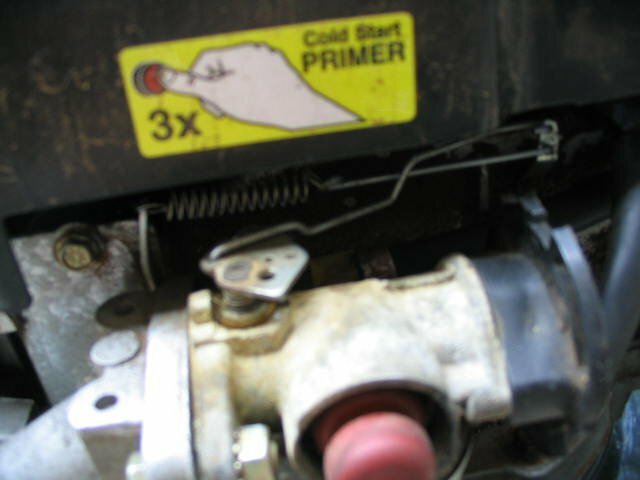 There are a couple of Yahoo groups - "smallengines" and "Sharing_small_engine_secrets" that you should join and read and read and ask and ask. And finally, find a couple other folks that like to fix motors. I have several small engine friends I've made, and we swap experience all the time. he´d show you the joke inside. "Yeah", he said, "The joke´s on you!" "You don´t even know where you´re going to!" John Sebastian - "The Four of Us"